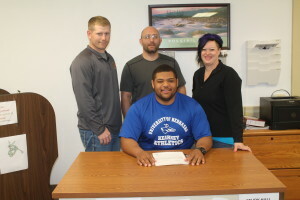 Tre Doren, a senior at Winner High School, has signed a national letter of intent to wrestle at the University of Nebraska at Kearney. Doren was a state heavyweight champion this year for the Warriors. His record this year was 34-3. “It is exciting to see a kid you have coached go to college,” said WHS wrestling coach Spencer Novotny. “Tre is a good kid. If he is going to do this he is going to put all his effort into it. 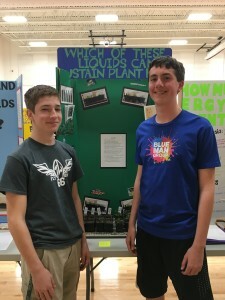 It will be fun to follow him,” said Novotny. Doren is looking forward to getting his education where he plans to major in physical therapy. “My next goal is to become a national champion,” he said. 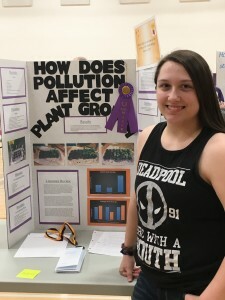 Several students received medals for projects they entered in the Winner Science Fair held on April 6. 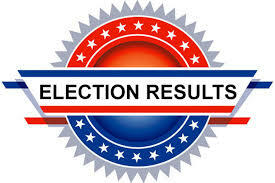 The incumbents were the victors in the Winner city and school board elections held on April 11. In the Winner city election in the Third Ward, John Meyer was re-elected to the council as he received 67 votes to 29 votes for Orville Lund. Meyer will start his new term at the first meeting in May. In the Winner School Board election, Rusty Blare and Bill Mann were re-elected to office. Blare received 179 votes, Mann received 177 votes and Wayne S. Meyer received 87 votes. The voter turnout in the school board election was 7.64 percent. The new term of the school board starts in the first meeting in July. Brett Galbraith defeated incumbent Shannon Kortan in the Colome Consolidated School Board election. Galbraith received 87 votes and Kortan, 45 votes. There was a 15 percent voter turnout in the Colome election. Doris Miner needed a little assistance. Doris, and her husband, Kenny, moved from their ranch in rural Tripp County in part to cut down on driving, and to be closer to services. Doris has faced multiple sclerosis for more than 40 years, and her husband has myasthenia gravis. She said bathing can be difficult. 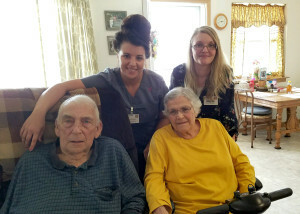 Avera@Home nurses, nurse aids and other staff offer a wide range of assistance to families like the Miners. For Doris and Kenny, help with bathing and medications – which include prescription pickup and proper sorting and scheduling – allows them to continue a more independent life. Jennifer Allmendinger, BSN, RN, is part of the Gregory Avera@Home team, and often works with the Miners. She said for many families, like them, there’s a secure feeling that comes with regular visitors and the services she and her team offer. Allmendinger said each family’s situation is different. She said the Avera@Home team is happy to answer questions and line up the appropriate services for anyone across the spectrum of care, from simple cares to more complex skilled nursing services and therapies. You can learn more about Avera@Home services like those the Miners receive by calling 605-668-8327, or by visiting AveraAtHome.org. 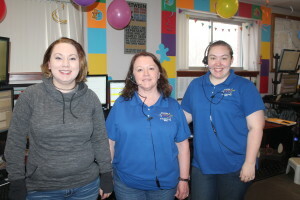 Dispatcher week was celebrated April 9-15 at the Winner Police Department. Full staff is 10 employees and the dispatch center is down one. Deb Bice is the supervisor with Andrea Ptacek as the assistant supervisor. The staff includes: A. J. Wiley, Ron High Rock, Clint Sinkular, Cami Woodward, Ashley Moseman, Misha Smythe, Michele Hagenlock and Tasha Welch, part-time. 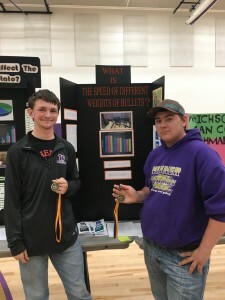 The center in Winner dispatches for six counties including Tripp, Gregory, Lyman, Haakon, Mellette and Bennett. The population center served by this dispatch center is 23,000. In 2016, there were 10,458 911 calls and over 57,000 administration calls. There is always two persons working in the dispatch center 24/7. Employees go through two weeks of 911 training in Pierre and also do three days of EMD (emergency medical dispatch). Bice says this is a nice week to honor the dispatchers for all the work they do. Gifts and treats are provided to the workers during this week. A dispatcher is generally the first point of contact, the true first responder and the unseen hero. A dispatcher’s job is a complicated one. It is exciting, rewarding, fulfilling and becomes a way of life. It is also stressful, exhausting, thankless and forgotten by many. 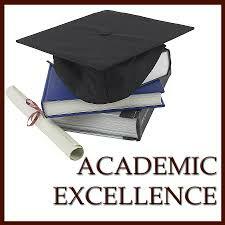 More than 200 graduating seniors from South Dakota public, private and tribal/Bureau of Indian Education schools will be honored at the 2017 Academic excellence recognition luncheon April 24 in Pierre. Representing Winner High School will be Chase Kingsbury and representing Colome High School will be Adrianna Larson. The luncheon is hosted by Associated School Boards of South Dakota in association with Gov. Dennis Daugaard, the school administrators of South Dakota and the Department of Education. The event honors the top one percent of graduating seniors. Winner boys won the elite class medley relay with a time of 3:45.77 at the Corn Palace Relays in Mitchell on Thursday. Runners were Riley Calhoon, Drew DeMers, Cameron Kuil and Kayleb Brozik . Cameron Kuil won the 100-meter dash. 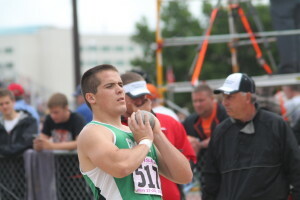 Colome’s Matt Campbell threw the discus 169 feet-three inches to win the boys discus at the Menno Relays. Campbell’s toss was the longest toss in Class B so far this season. Holden Thieman won the long jump with a leap of 19-08.25. 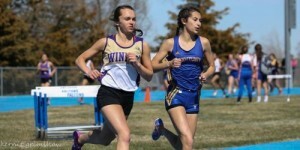 In the girls event, Callie Heath won the 400 in 1:05.88 and Jaclyn Laprath won the 3200 in 13:07.01. The Winner High School boys and girls track team competed in the Miller Quad track meet on April 11. Discus—Jayden Schroeder, 2nd, 129-03; A. J. Roubideaux, 3rd, 127; John Kludt, 4th, 120-03; Levi McClanahan, 5th, 119. Ronae Klein was the medalist at the Mobridge golf meet on Thursday. Klein shot an 86. 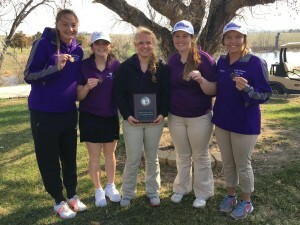 The Winner Area golf team took first place at its first meet of the season. Placings of other golfers include: Samantha Marts, 4th, 96; Addy Root, 7th, 99; Cheyenne Dougherty, 9th, 101. Kiersten Durrin shot a 139. The next meet for the Winner team will be April 20 at the Big Dakota in Pierre. On April 24, the girls team will travel to Chamberlain.